I am very excited (...and somewhat nervous) to announce that I am hosting my first ever blogging event! I hope you will consider joining me by entering a dish that celebrates the very best of British food. The 20th September sees the start of British Food Fortnight. This event, now in its seventh year, is a celebration of the fantastically diverse range of foods produced in Britain. It is also the largest volunteer movement educating children about food. Much maligned in the past by our European neighbours, Great Britain is today a nation of top-quality produce and exciting food: we should be proud of this! British Food Fortnight offers a great excuse to remind ourselves of the pleasure of eating quality seasonal, local produce. Not only do I think we have some of the best produce around, I also think that Britain has a wealth of wonderful national dishes. From Lancashire hot pot and Welsh rarebit to Sussex pond pudding and apple crumble, our culinary heritage is rich in delectable goodies. The challenge for British Food Fortnight is to create a thoroughly British dish from (where possible), locally-sourced ingredients. I very much hope you will consider taking part, even if you have never entered a blogging event before. Everyone is welcome! You can cook absolutely anything - sweet or savoury, starter, main course, pudding, sweets, cakes, jams, chutneys. All are encouraged! The only stipulation is that the recipe must be something which is typically British. If you can find out a bit about the origin of the dish, then do share the details if you have time. As far as possible, please use British produce to create your dish. Obviously this is not practical for every ingredient but meat, dairy, fruit and vegetables should be British and preferably locally-sourced. Whilst this event is obviously rather geared towards British-based bloggers, anyone is welcome to join in. If you do not live in Britain, use produce local to you but please come up with a traditionally British dish. If the thought of a spot of thoroughly British cookery wasn't enough to get the creative juices flowing, I am also offering a prize for one lucky participant. All entrants names will be put in the hat and a winner picked at random. 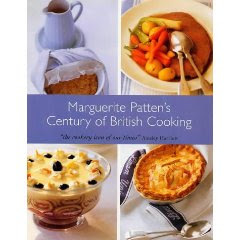 The winner will receive a copy of Marguerite Patten's 'Century of British Cooking'; a fascinating guide to the history of British food packed with interesting and nostalgic recipes. I really hope you will join me in this celebration of the best of British! 1. Please post your thoroughly British dish during British food fortnight - 20th September to the 5th October. 2. 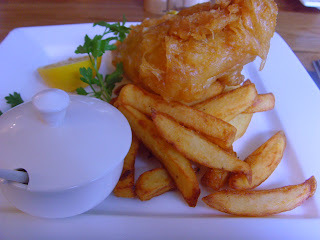 In your post, please include a link back to me and also to the British Food Fortnight website. 3. You are encouraged to use the British Food Fortnight logo in your post, but this is not essential. Oooh, this sounds like a great event. Will put my thinking cap on! What a wonderful event. I'll definitely bookmark it to enter. I'll get thinking, good idea! Wonderful idea Antonia, I'll get my thinking cap on. Count me in! I am so happy to celebrate the best of British. Ginger - hooray, hope you join in. I'm sure you'll come up with something wonderful. Sylvie - thank you, that's great. Sam - I must get thinking too, haven't come up with my own entry yet. Lots of great stuff to choose from though! Wendy - ooh, excellent. I'm now very curious and can't wait to see your entry. Lynn - am sure you'll think of something delicious and hope you join in with us! Joy - oh good. So many great British dishes to choose from so it should be a good round-up of dishes, I hope. Good idea for an event! I will get my thinking cap on too! ooh, it's like this event was made for me! Brilliant idea. We should be celebrating British dishes. 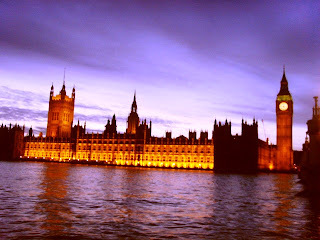 Check out my 'British One Hundred' as proof of my passion! Maria - hooray! Can't wait to see what you make. Holler - really hope you think of something. I'm sure you will! Helen - great, I love that list of dishes and may just post which ones I have tried. Great idea! I'll try and have a go at this one Antonia! Brilliant! I love it and right behind it. I don;t have the time this week to get my head around this but will try my best. Best of luck! Although I don't live in England, I really would love to join this event. Sounds like cool event! 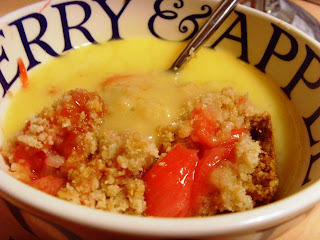 Actually I participated in this event called http://mykitchenmyworld.blogspot.com/ and last month we had to make English food. I actually made Welsh food and summer pudding. Margaret - hope you join us! David - closing date is the 6th October, so there is no hurry! 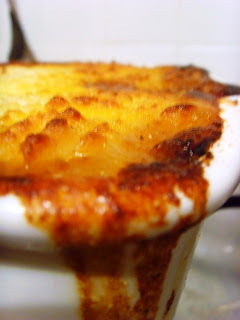 Would be great if you could join - you always cook up such great British classics! Elra - I'd be thrilled if you would like to join, please do! 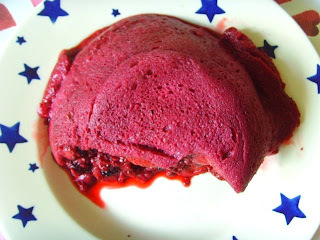 Summer pudding is a real favourite of mine, by the way. What a wonderful event Antonia! I'm so definitely in on this! I'll get to plotting XD. I am a bit puzzled about the word "British", does that also include Scottish food, but not Welsh food, because there is a Welsh fortnight, but not a Scottish fortnight? I would enter but I already have the book! Great event idea though! Wew! Its late reading but I've enjoy and learned from this. Now I know how to prepare more deliciously food. Hope that this event have a part II. :) Thank you for sharing and posting this! Keep it up! Chicken with ginger marmalade. Yes, really.